Rice diet to cleanse the body and dropping excess weight. The problem to lose weight worries a significant portion of the world population. Of course, for every body needs its own individual approach, one makes one diet to another — another. But still there are some objective properties of certain products. Here we will focus on rice. Rice has a positive effect on the work of many organs, promotes excretion of toxins, toxins and other harmful substances, so that there is a significant weight loss. Rice diet does not allow to starve, because it is quite tasty and nutritious. No wonder rice is one of the main dishes of the Japanese — the nation, known for high-age mortality threshold. In the 80 years old age only in Japan is on the verge and gently knocks at the door, at the time, as we have 80 years is considered respectable age, close to longevity. But let us leave them to the Japanese national secrets of longevity and return to our rice diet. There are several variants of its application, but in all of them, it is desirable to use brown rice — there is retained more nutrients. 1. Exclusively rice porridge in 1-3 days, a bit of sugar to apple juice without sugar and nothing more. In acute sense of hunger, you can afford to eat a couple of apples. One-day diet promotes fast and qualitative cleaning of the body, and a three-day flogging recommended to arrange no more than 1 time per month. 2. Less strict diet allows the inclusion in the diet of lean meat and fish as well as vegetables and fruits, except bananas and grapes. At the same time the main course still remains rice — no more than 500g per day at various «supplements» in 200g. Holding out on such a diet must be 10 days, and repeat it 2 months later. 3. 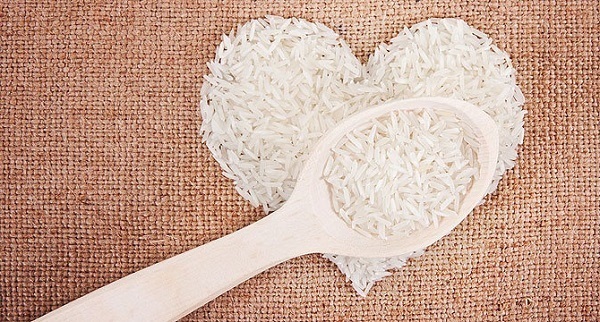 The main control circuit: 2 tablespoons of washed rice to one cup of water. «Infuse» in the refrigerator for 4 days, changing the water every day. On the fourth day, thoroughly wash, eat on an empty stomach, wait for 2 hours and eat normally, except only fatty and spicy. «Sit» can be no more than 2 weeks on such a diet.